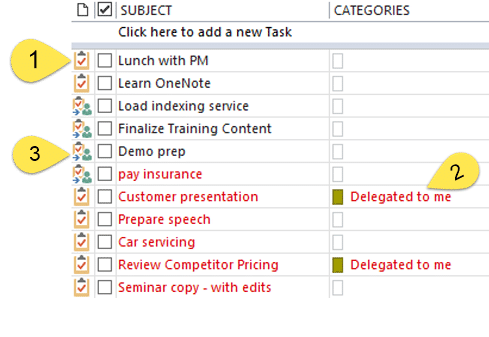 This is the fourth article in a series about managing YOUR work using Outlook tasks. Flag mails for follow up is a common action. Unfortunately, it is not a very efficient way of handling and monitoring work delegated to you by others using an email. What do we do in such cases? We just flag mails for follow up. The red flag is the default. Why not flag mails for follow up? If you were not using the task folder as described above, that flag mails for follow up was a good enough method of remembering (or rather, trying to remember) pending work. There are three scenarios where you SHOULD flag mails for follow up.